This rustic end table features a magazine rack that can be placed on either the left or right side. The rustic style for this piece is created by details such as its ruff sawn planked top and dark bronze finished hardware. Full of family room ambiance, this cocktail table is sure to be a favorite for years to come. 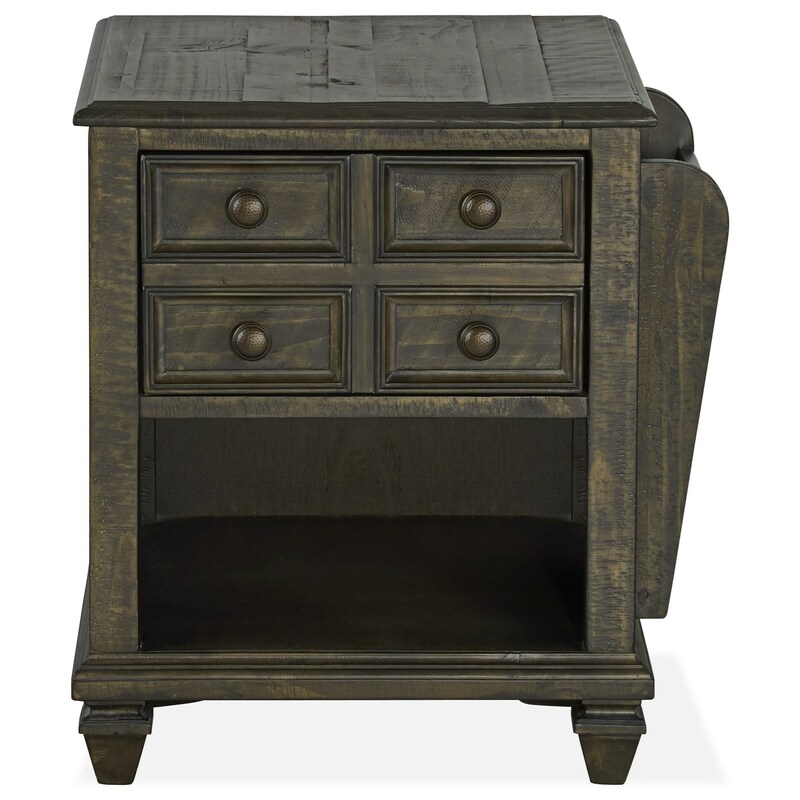 The Burkhardt Rustic Magazine End Table with One Drawer by Magnussen Home at Miskelly Furniture in the Jackson, Pearl, Madison, Ridgeland, Flowood Mississippi area. Product availability may vary. Contact us for the most current availability on this product.